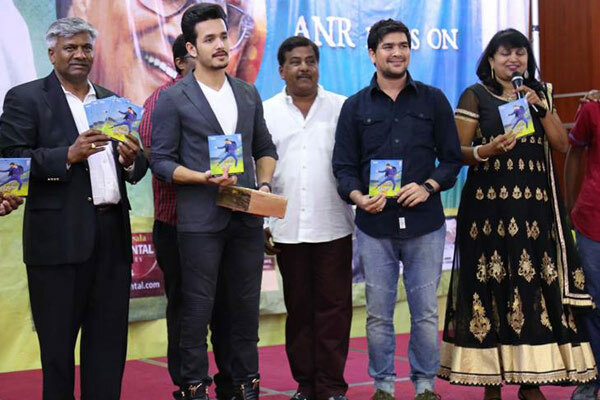 Akkineni Akhil’s debut film ‘Akhil’ is on the verge of completing its shoot. The unit is currently canning the intro song in Hyderabad. VV.Vinayak is directing the film and actor Nithiin is bankrolling it on his Sreshth Movies banner.The audio album was unveiled a few hours ago. As per the latest update, the film is going to release in Tamil as well. Popular Tollywood producer C. Kalyan bagged the Tamil rights and he is planning a grand release all over Tamil Nadu. This news was confirmed by C. Kalyan during the audio launch. Sayyesha Saigal is the female lead for the film. SS Thaman and Anup Rubens are the music composers. The film is slated to hit the screens on October 22nd.